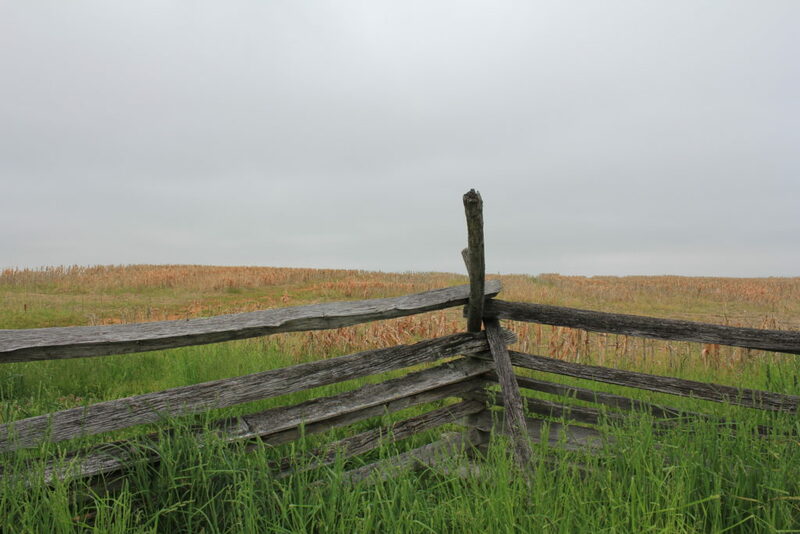 Many of the posts on this site explore elements of the Irish experience at the Battle of Antietam, the bloodiest single day of the Civil War, fought on 17th September 1862. Many of the widow’s pension files that I now concentrate on were created as a result of those day’s events. It was also a battle of unprecedented slaughter for the Irish Brigade. They were sent against the strong Confederate positions along the Sunken Lane, forever now remembered as Bloody Lane. In the process they suffered 540 casualties, including 113 killed outright and 422 wounded. Losses were particularly heavy in the 69th New York and 63rd New York. Last year I had an opportunity to visit the battlefield, and to walk some of the ground covered by the Irish Brigade that day. The photo gallery below is an attempt to present readers who may not have had that opportunity with some of the key locations that formed part of the Irish Brigade’s experience of that dreadful battle. You can view the gallery as a slideshow by clicking on any of the images below. 1. The Roulette Farm. 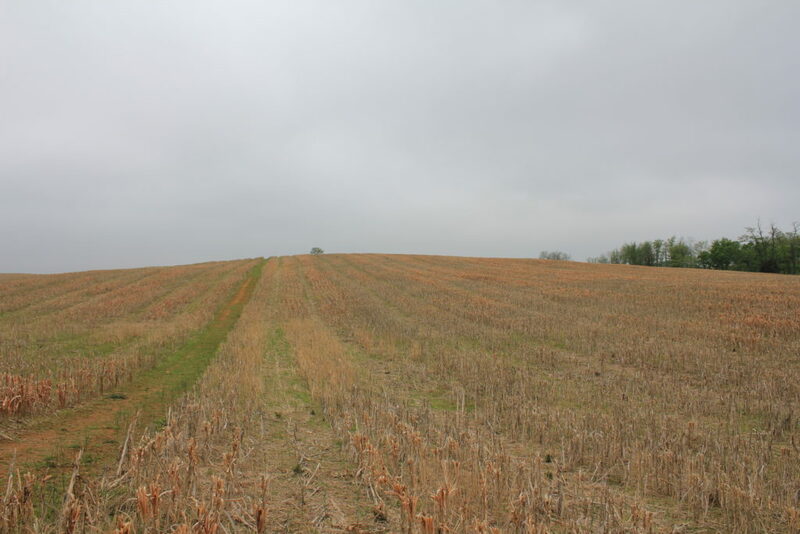 The Irish Brigade advanced towards to the Sunken Lane with this farm on their right. From right to left their order was 69th New York, 29th Massachusetts, 63rd New York and finally the 88th New York on the left. 2. 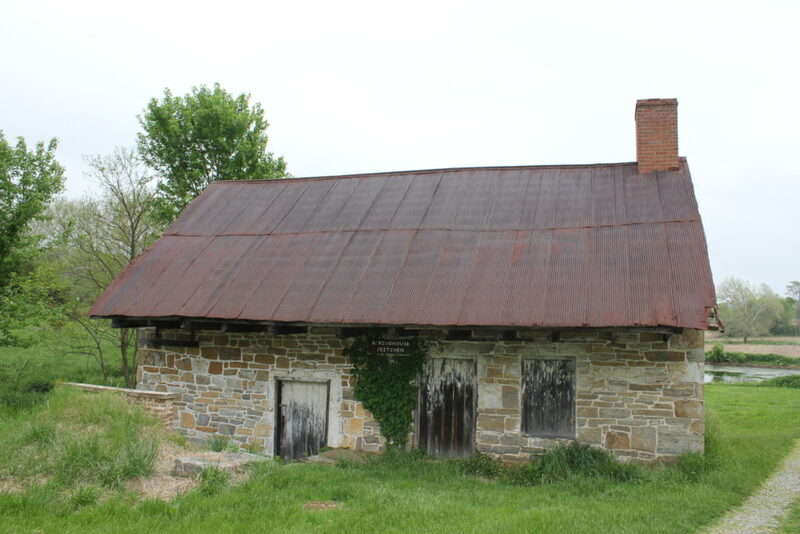 The Roulette Farm Ice House. 3. The Roulette Farm Kitchen. 4. 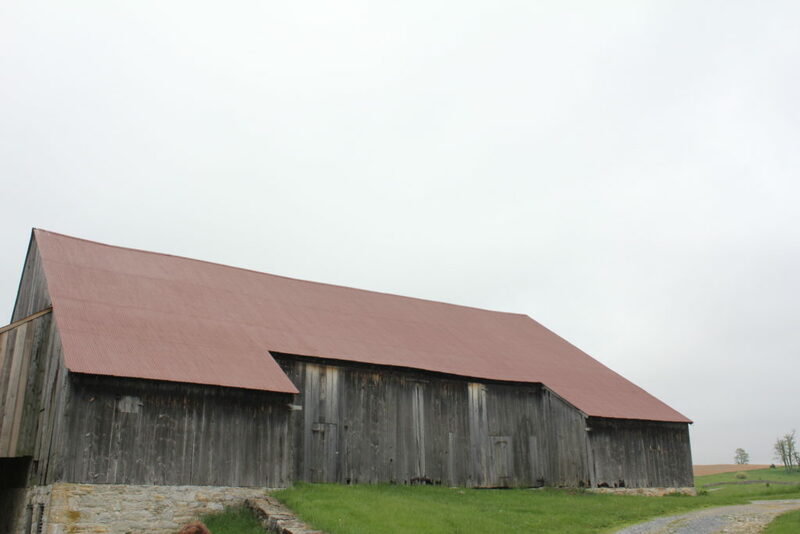 The Roulette Farm Barn. 5. 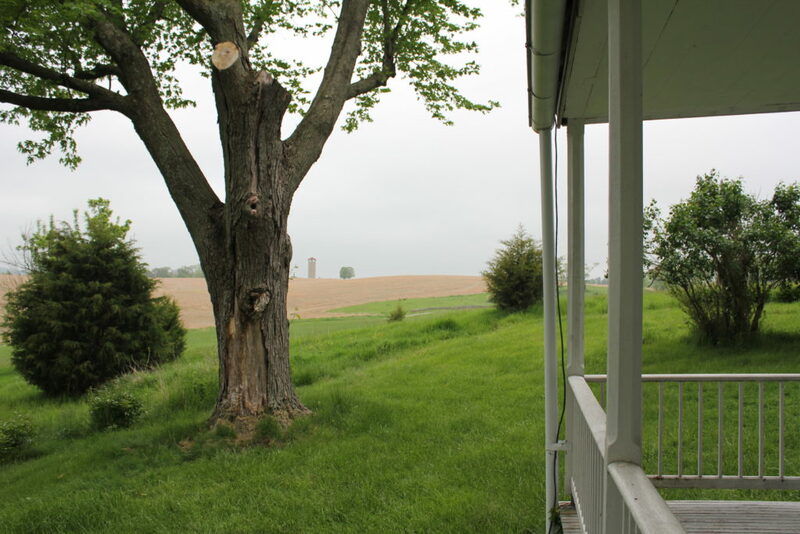 View toward the Observation Tower at the Sunken Lane from the Roulette Farm Porch. 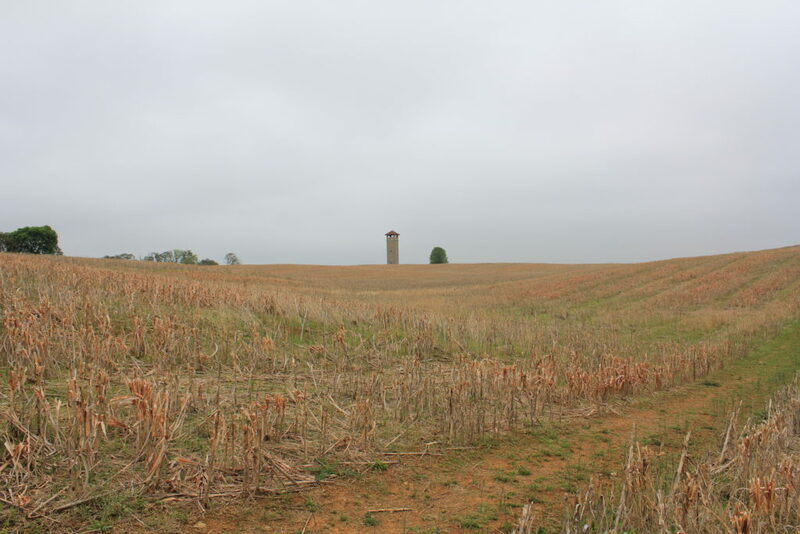 The Irish Brigade advanced from left to right across the cornfield to engage the Confederates. 6. 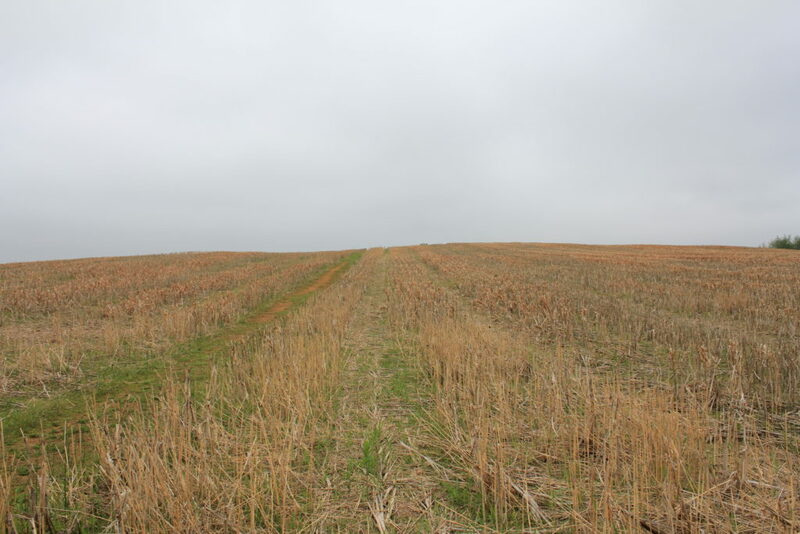 The Roulette Farm Lane which led to the Confederate position at the Sunken Lane. The 69th New York Infantry on the right of the Brigade guided on this lane for their advance. 7. 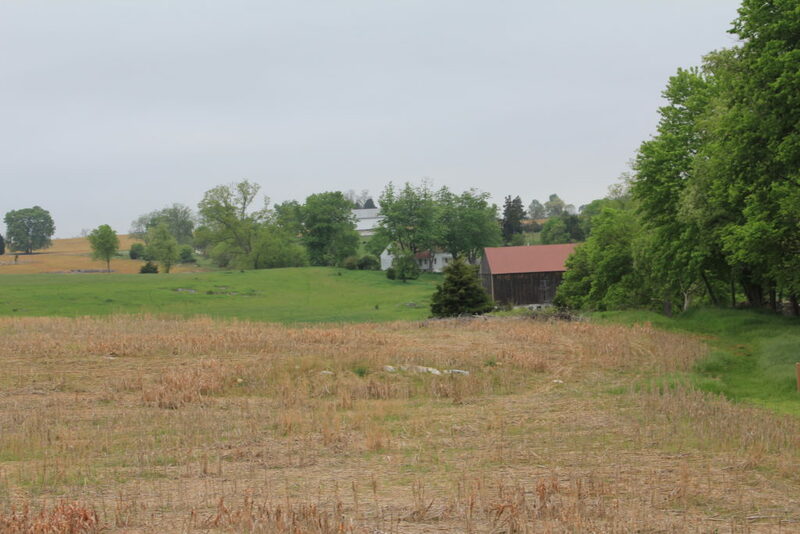 The view that some of the advancing Irish Brigade would have had of the Roulette Farm when they advanced, particularly men of the 69th New York and 29th Massachusetts. 8. 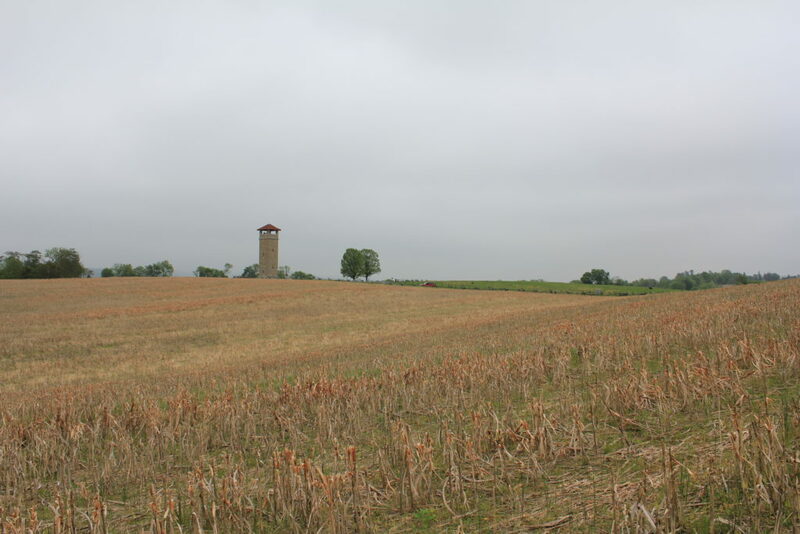 View of ground over which the Irish Brigade advanced, with the Roulette Farm Lane representing their right and the Observation Tower on the Sunken Lane visible opposite their left. 9. 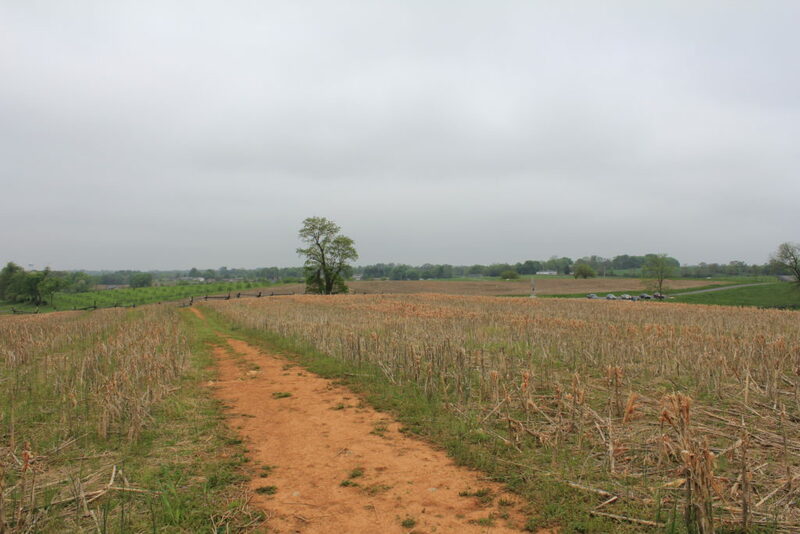 View that Confederate skirmishers would have had towards the advancing Irish Brigade. 10. 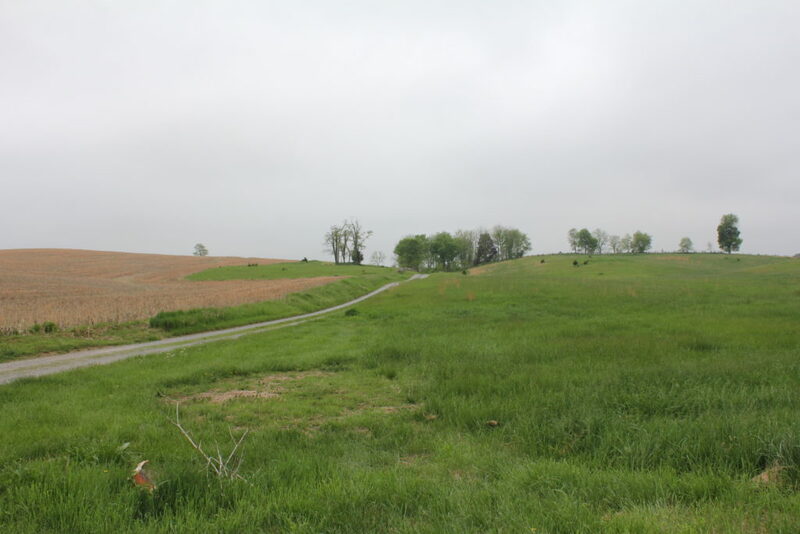 View the advancing Irish Brigade had towards Confederate skirmishers, with the Sunken Lane beyond the crest beyond. The swales in the field, which undoubtedly contributed towards differential casualties in the Brigade, are clearly visible. 12. 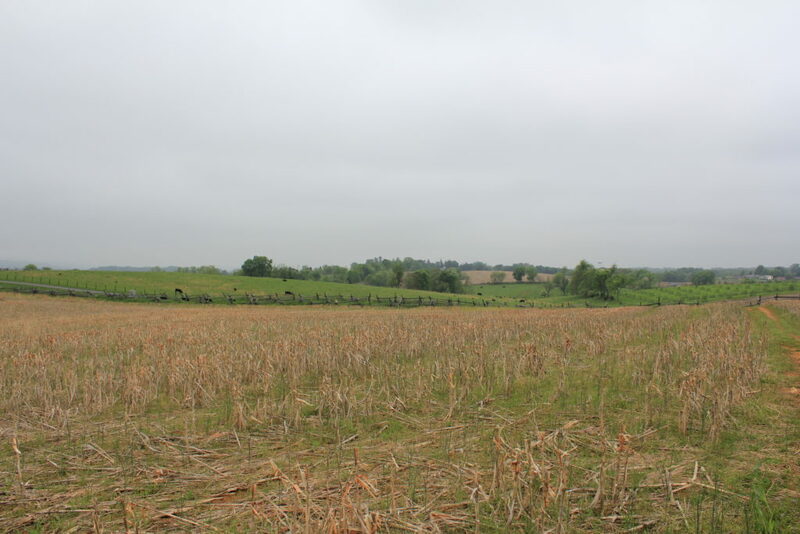 View of the major swale across the ground which the Irish Brigade advanced. This swale contributed towards increased casualties among certain regiments of the Brigade. 13. 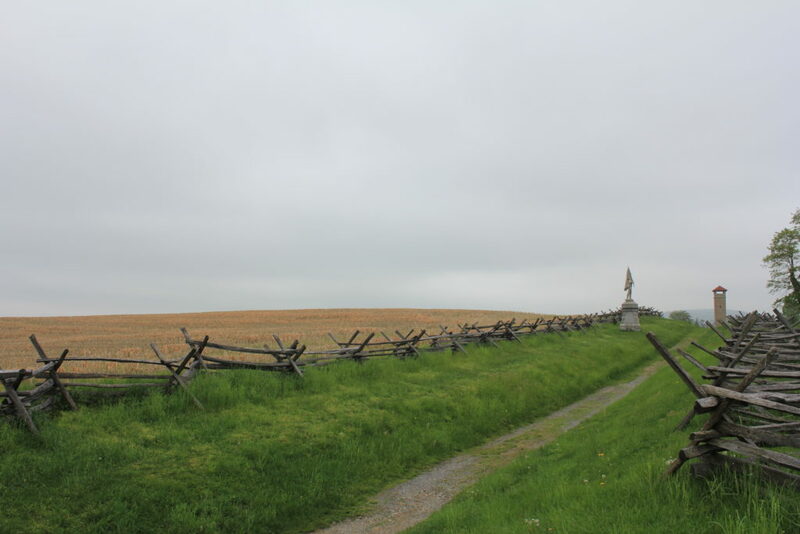 The swale demonstrates how certain units of the Irish Brigade (such as the 63rd New York) would have become exposed to Confederate fire from the Sunken Lane before other elements of the unit, such as the 29th Massachusetts to the right. 14. 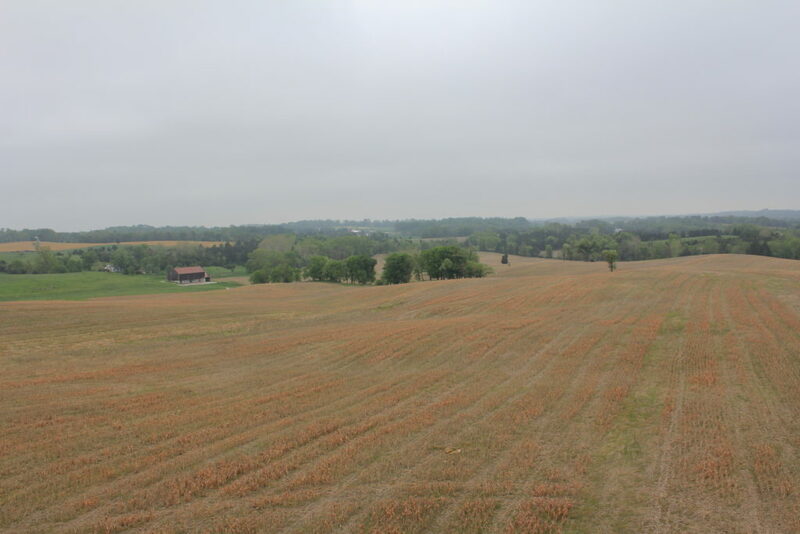 The higher ground on the right of the line, which allowed the 29th Massachusetts to advance under more cover than their exposed neighbours in the 63rd. 15. 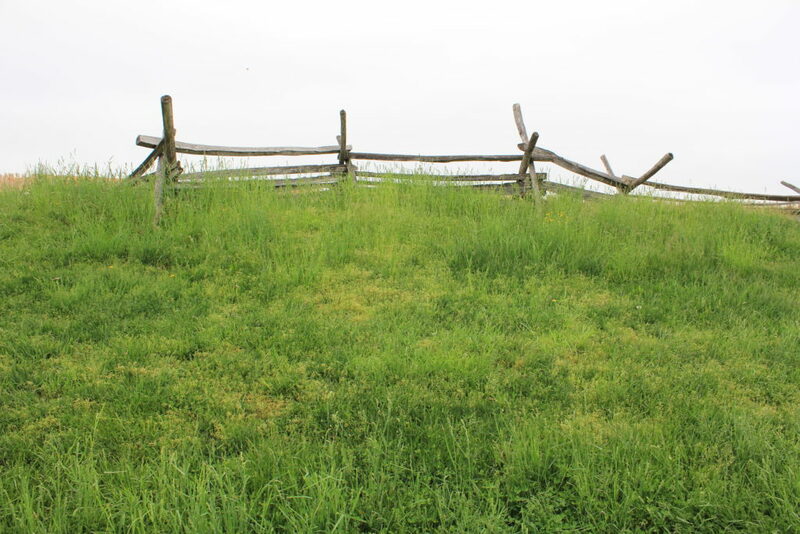 The immediate reverse slope of some of the high ground over which the Irish Brigade advanced. On cresting this ridge they faced directly into the Sunken Lane. 16. 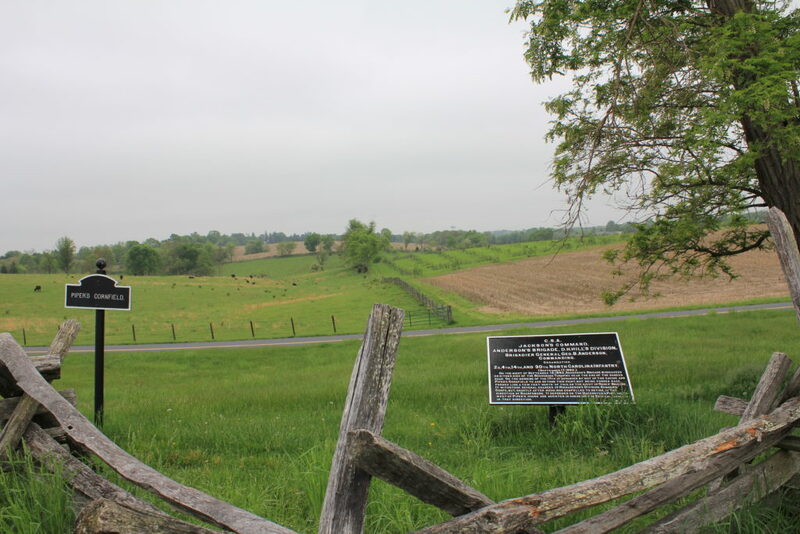 View members of the Irish Brigade would have had towards Confederate positions in the Sunken Lane, marked by the fenceline. 17. 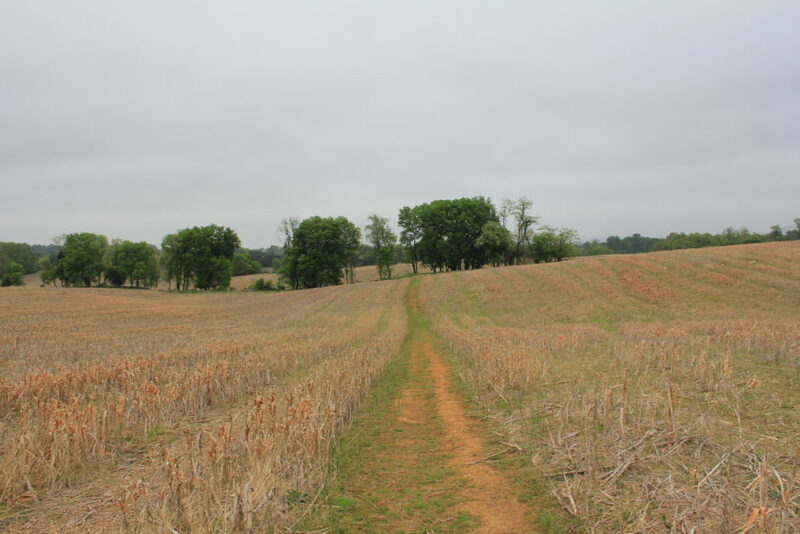 Another view from the crest towards the Sunken Lane and the Confederate positions, again showing the swale which would have so exposed some of the Irish Brigade. 21. 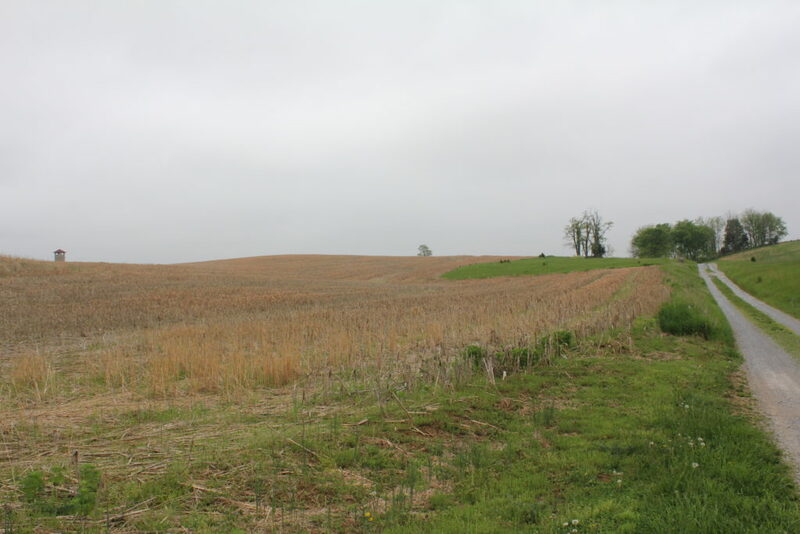 General view of the Sunken Lane held by Confederate troops engaging the Irish Brigade in the cornfield beyond. 22. 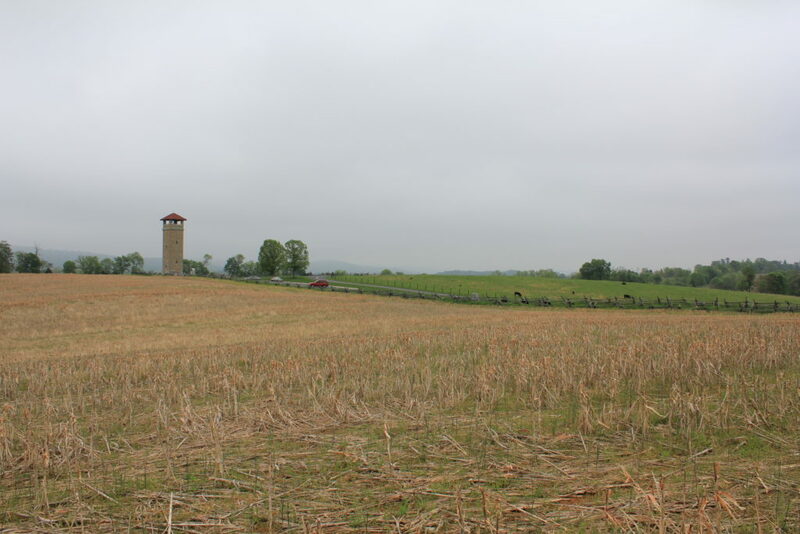 Another view of the Confederate positions, taken from the field across which the Irish Brigade advanced. 24. 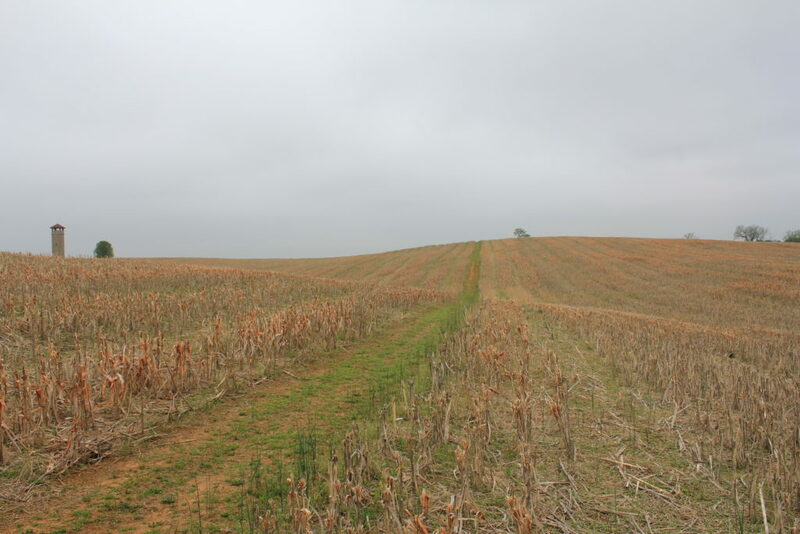 View of Pipers Cornfield behind the Sunken Lane, which held Confederate reserves and also artillery which fired on the Irish Brigade during its advance. What comes across from the images is how remarkably similar the battle was to some of those on the Western Front in the Great War – minus the machine guns!The Confederates were in a trench effectively along the Sunken Lane and the Irish Brigade was advancing along a ‘no man’s land’ at times fully exposed to Confederate fire. I wonder if the memorial to General Richardson is a cannon used in the battle?. Regarding the mortuary cannon for General Richardson, it was dedicated October 15, 1897, almost 35 years to the day of Richardson’s death on November 3, 1862. It might depend on if the cannon had been left at the battlefield afterwards. I would think most of the artillery was taken with the armies after the battle and used through to the end of the war. It certainly is something to think about. The areas where Generals were slain is often represented this way on Civil War sites, though I am not sure of the origins of the pieces, would be interesting to know. There are certainly some similarities, particularly as the war went on towards its ultimate conclusion. Great post! 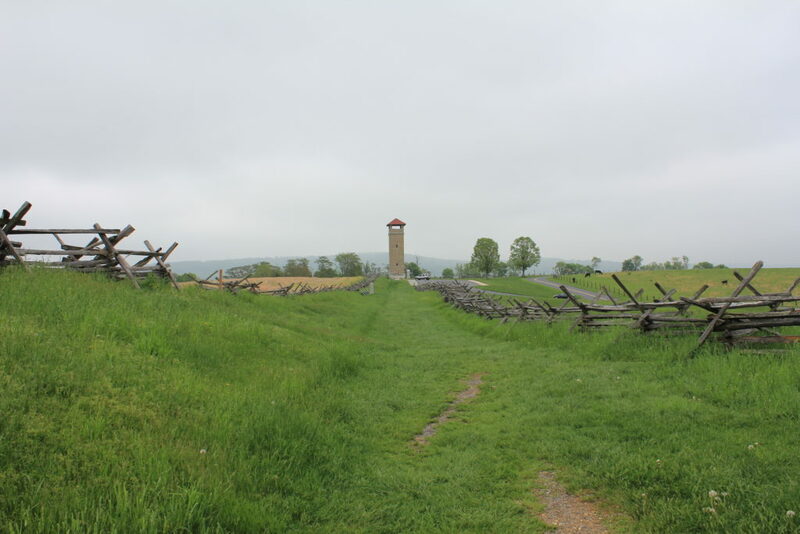 I’m glad to see that you were able to tour Antietam Battlefield. 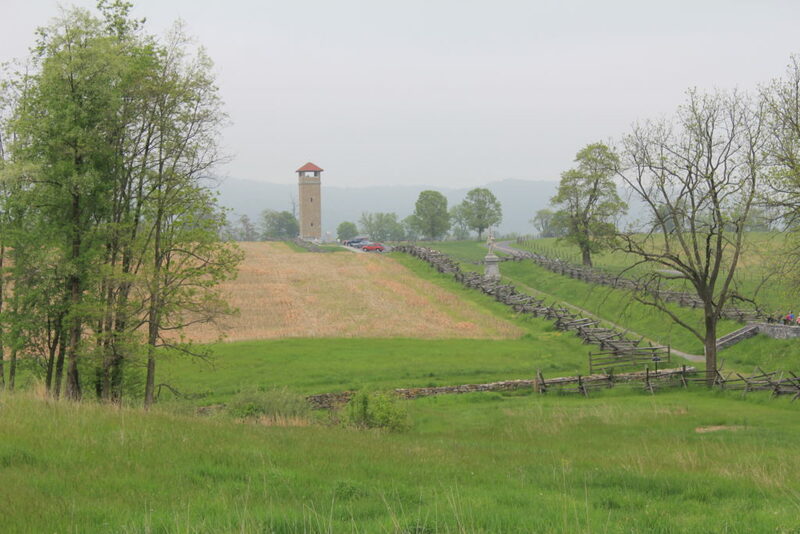 I think it is probably the best preserved battlefield due to the lack of commercial encroachment. I had the great experience of following the footsteps of the Irish Brigade into the battle with reknowned Civil War Historian and Battlefield Guide, Ed Bearss. 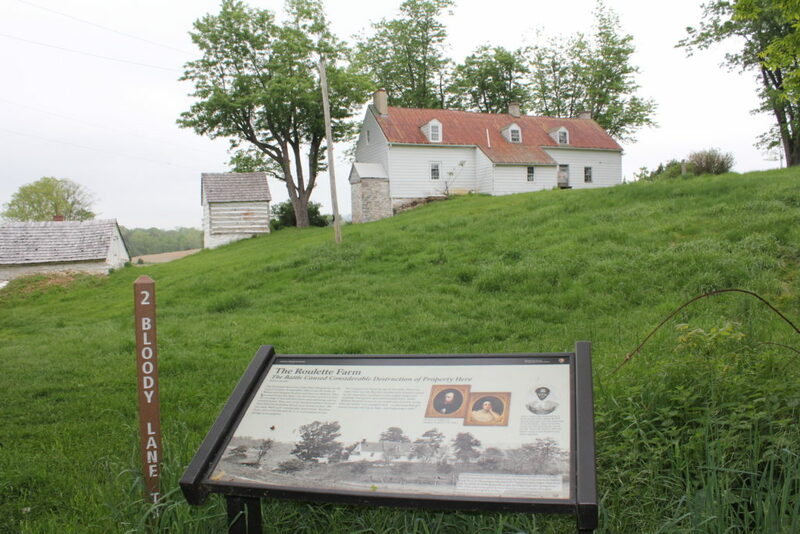 He along with historian Dennis Frye took us from the Roulette Farm to Bloody Lane and every step of the way informed us of the activities of the Brigade. 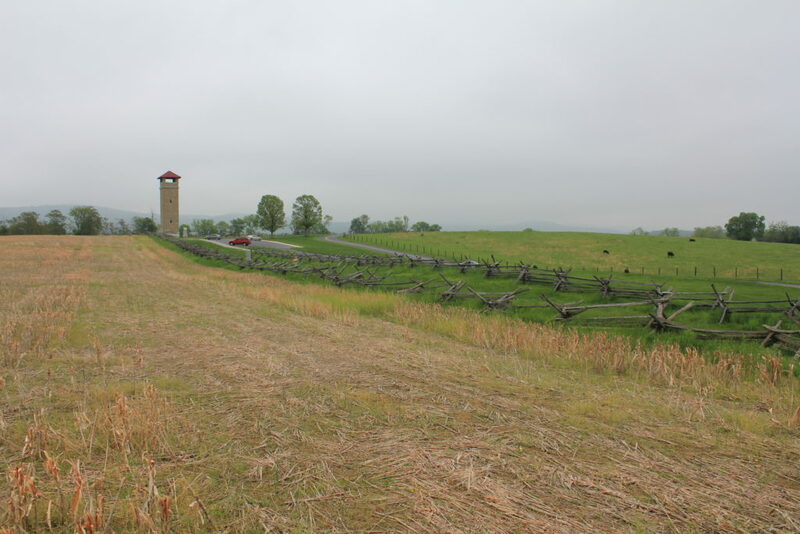 It was amazing when they demonstrated the terrain and how one regiment was virtually hidden though right on top of the Confederates and how the others were slaughtered……..and of course there is the dispute regarding Meagher being drunk and falling from his horse or whether the animal was shot out from under him……..once again, great stuff!!! …….btw……check out Ed Bearss!…….the man is now 92 years young and still giving battlefield walks and tours!!! Hope all is well and many thanks for the comment. 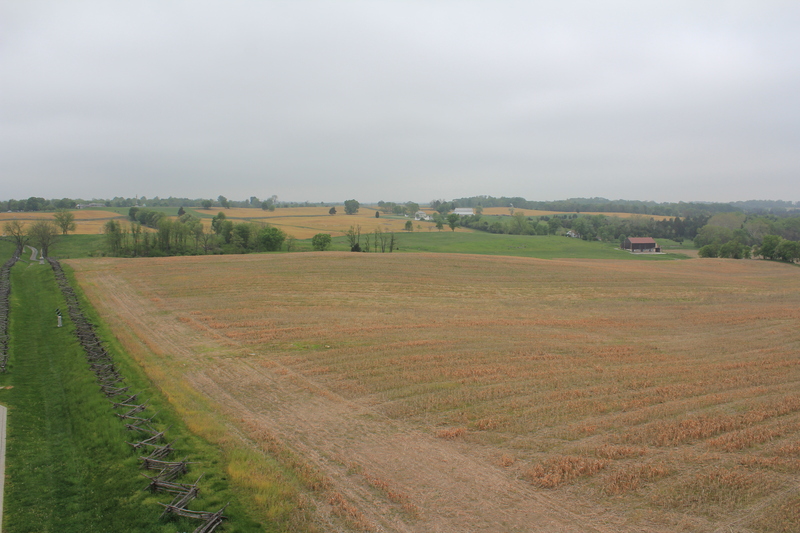 The Antietam visit was a fascinating day, I am going to have to go back though, there is so much to see. I would love to enjoy a site like it with Ed Bearss! Can’t wait to get back Stateside to try and visit a few more similar sites. Great sequence of photos to help understand the movements of the IrishBrigade. I’m back in the states after my stay in Cork. Good visit. Great a talk in Cavan today-I was spellbound. Your research to date is only the tip of the iceberg and I can’t wait for the rest. 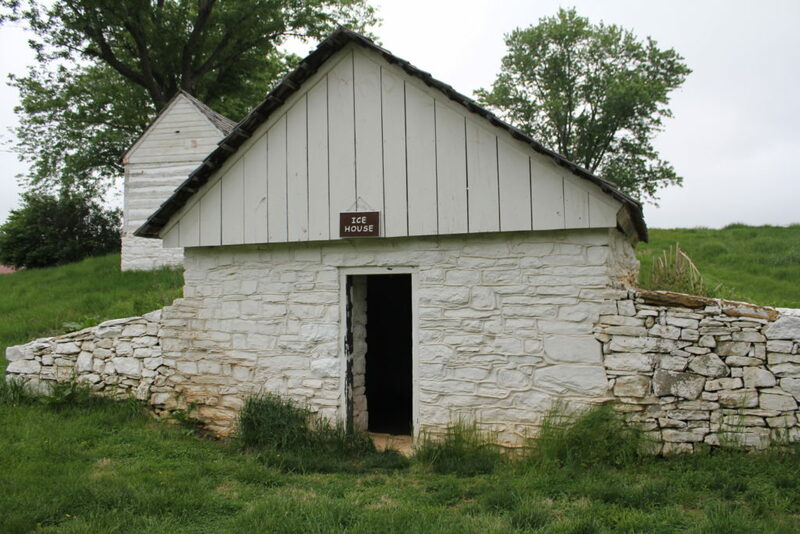 As the post above is about Antietam, I did notice that all the speakers today pronunced it as “Anteetam” whereas I believe the locals pronounce it as “An tie (as in what you might wear) am”. Many thanks and glad you enjoyed it, and it was good to meet you! Nicely done! Well presented as well. I would have never thought to make the photo log. I enjoyed it. Thanks so much, Jim Murphy, Baltimore Maryland.